The key to city living is finding the right place and moment to escape from the traffic and noise to enjoy the peace and serenity of open, green space. 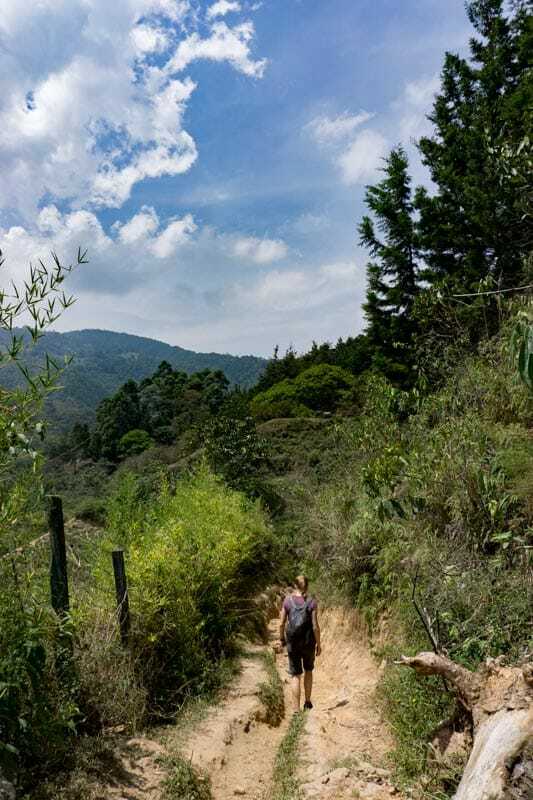 We discovered a precious oasis of hiking trails a short distance away above in the mountains above Envigado, neighbor city to Medellín. 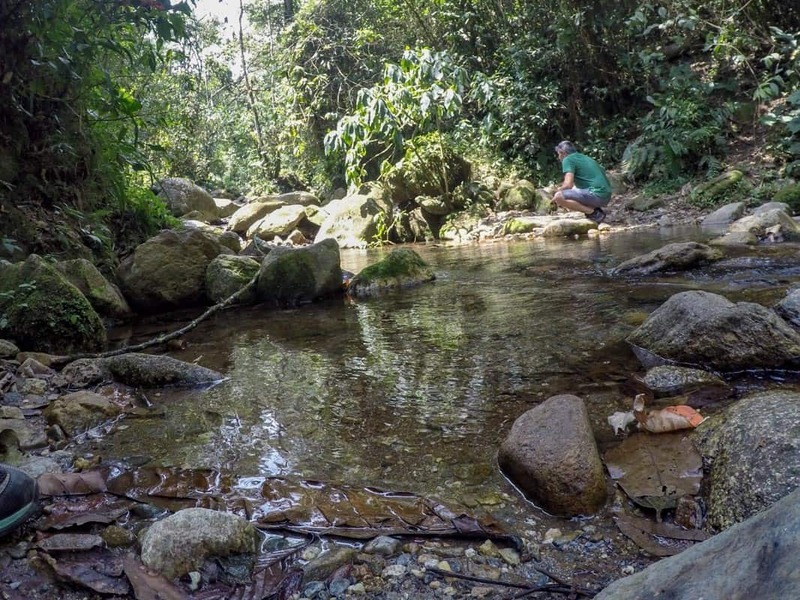 What’s special about this spot is that it’s close to the city and teeming with rivers, waterfalls, luscious green mountains, and tree-lined paths. 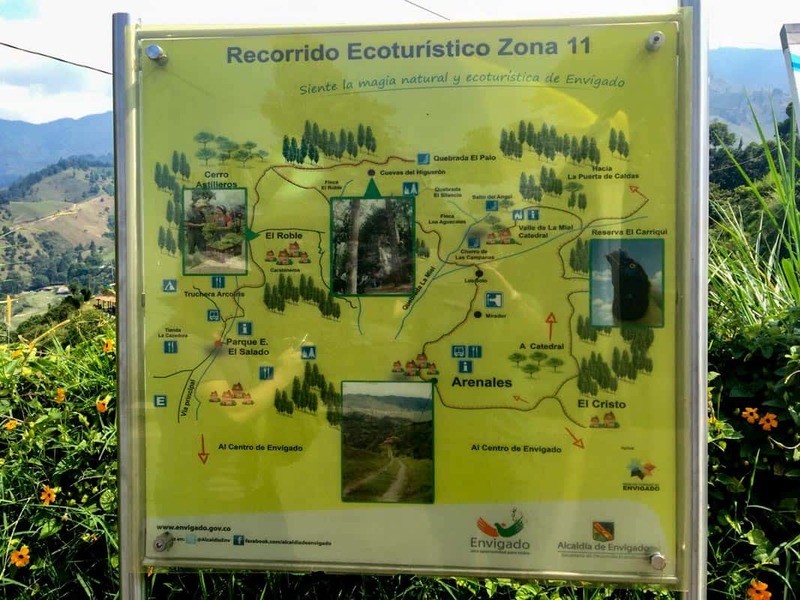 There are a series of trails that run through and along the hills surrounding the Aburrá Valley and Envigado, towards Parque El Salado National Park to the west, and the trails to Arenales to the east. We caught the local bus from Envigado going to the Arenales/La Catedral stop. Local buses here prominently display on the dash of their front window its destinations, including Arenales. 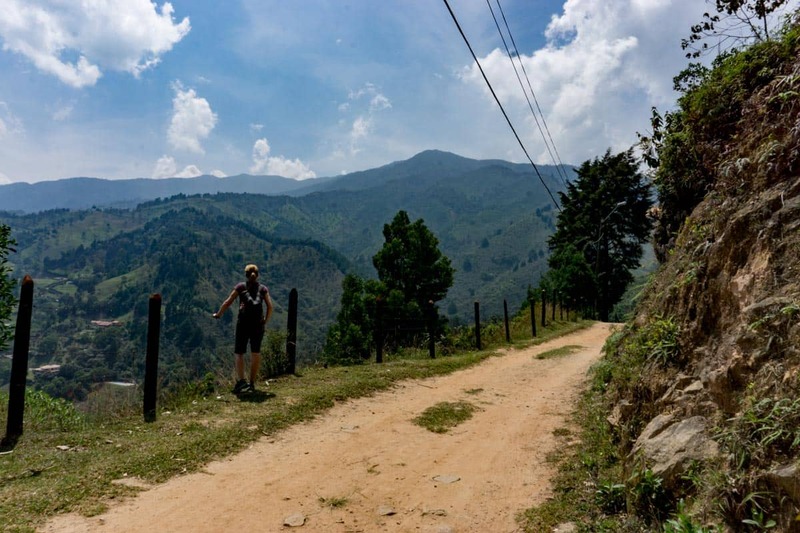 We proceeded up the winding hills above the Aburrá valley, enjoying an incredible tree-lined view of Envigado and Medellín from the narrow and winding roads at the sides of the mountain. The bus often stops to drop off passengers residing in the smaller towns and villages along the mountain roads. Within 20 minutes, we arrived at the Arenales bus stop and paid the posted rate of 2,000 pesos (0.63 USD) each way. The sign for the trails gave us a good perspective about our hike and we ventured on the trail veering to the left. Ten minutes into the walk, the road turned into a path with a gate to the right – just veer left to follow the dirt path. 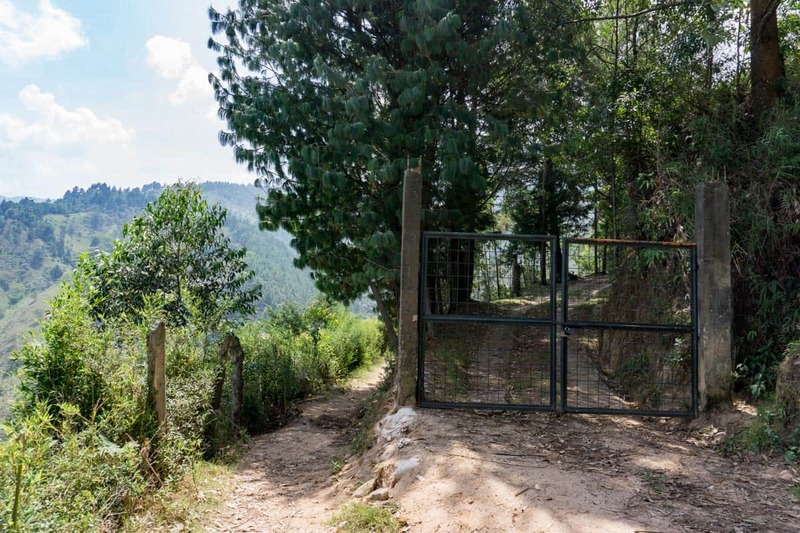 Ten minutes into the walk, the road turned into a path with a gate to the right – just veer left to follow the dirt path. This part of the hike is all downhill until you reach the water. The path is marked although sporadically with signs with arrows and spray-painted arrows on rocks, to navigate your way forward through the river. It zigs and zags through the valley, requiring you to step over the river on the trail and at times to swiftly return to the trail. Not only was it fun, but it was also enjoyable as the early afternoon light was exceptional with alternating shades of the green rolling mountains to the lush forest and calming rivers. The trail will zig zag across the stream until you reach the waterfall. Take the local bus - it's a fun ride through the mountains, picking up kids heading home from school and neighbors living in the hills. Go on a weekday morning or afternoon, you may be the only one there and the morning or late afternoon light is incredible! It was a perfect day for us, as we decided to shoot lots of footage for some of our latest videos. 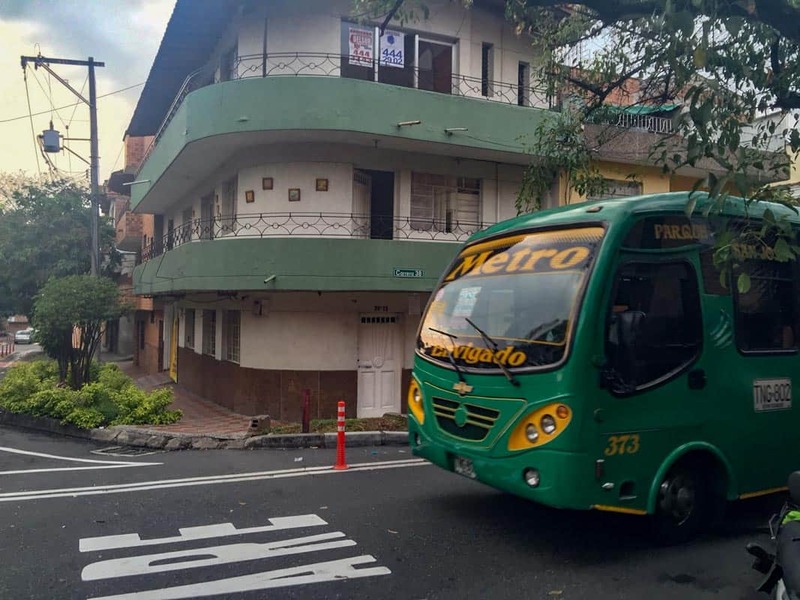 How to get there: Catch the bus to Arenales at Calle 39B Sur and Carrera 38 or take the Metro to the Envigado station exit to the street and ask someone where the bus is to Arenales. Have you discovered a hike near a city, and you were pleasantly surprised? We'd love to hear about it. Love hiking? 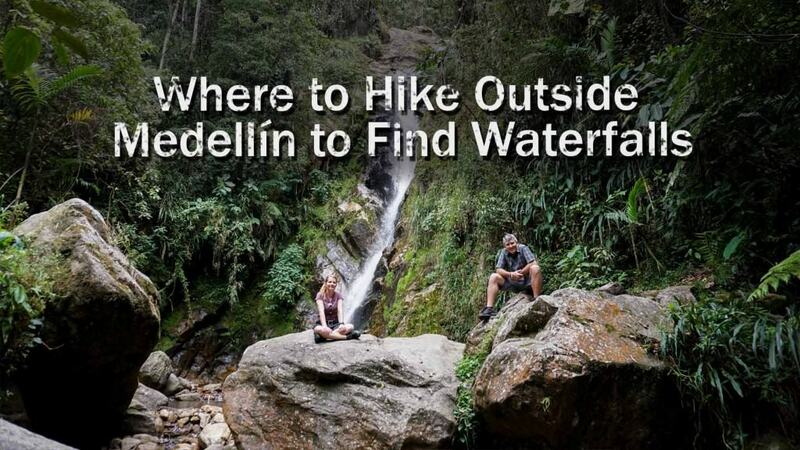 Here is a great resource for more hikes in Medellín. 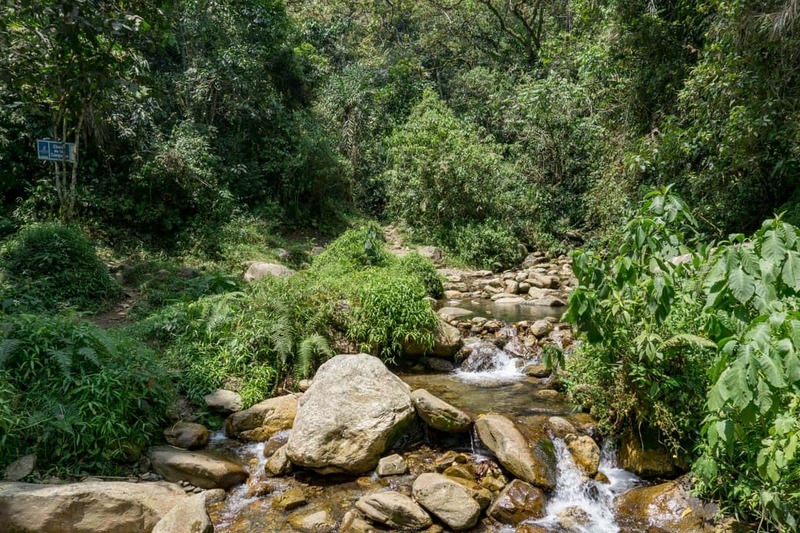 For more stories, posts and tips about traveling in Colombia, you can find them here.